The construction of geological disposal facilities for radioactive waste will become a major focus of geological, mineralogical, and geochemical effort in coming years. Geological disposal raises complex technical issues, but it is also at the center of social and political controversy. Different countries have very different waste inventories and quantities of waste; they may also have different geological settings available to host a repository. The issue presents five case studies for the concepts for repositories hosted in clay, granite/gneiss, salt, and tuff. 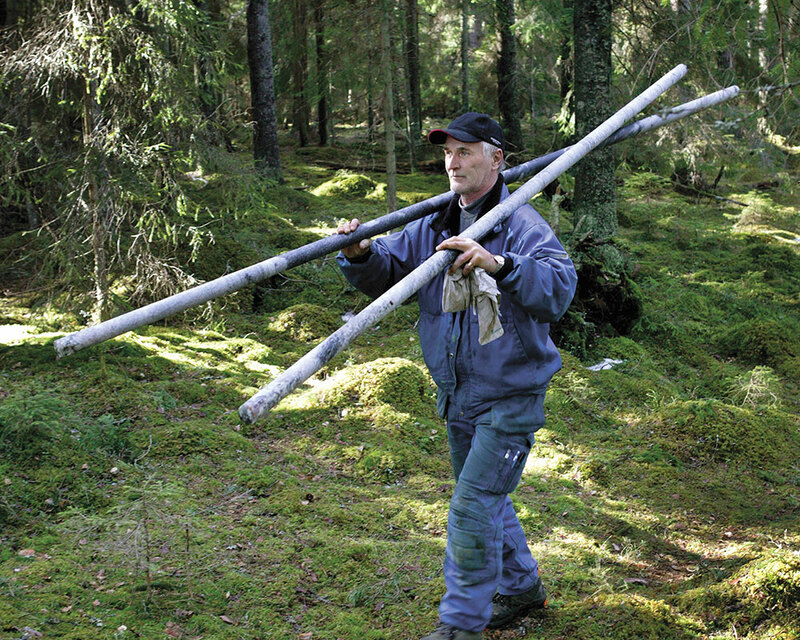 The varied approaches to selecting a site that is acceptable to local communities will be reviewed. that now rely on the technique and their interdisciplinary nature. The back-end of the nuclear fuel cycle has become the Achilles Heel of nuclear power. After more than 50 years of effort, there are, at present, no operating nuclear waste repositories for the spent nuclear fuel from commercial nuclear power plants or for the high-level waste from the reprocessing of spent fuel. 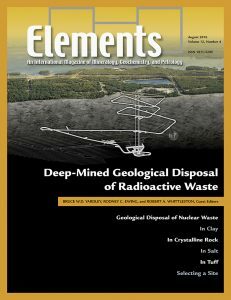 The articles in this issue of Elements describe the status of geological disposal in salt, crystalline rock, clay, and tuff, as presently developed in five countries. Keeping future generations safe from today’s nuclear waste relies on this waste being effectively isolated for all time. Clay rocks, or rocks with a high clay content, offer promising isolation properties over time periods that are as long as the age of their host geological formations. Constructing a repository in such material does not significantly change the clay’s isolation properties, which is a great advantage. Isolation is a function of the interplay between the slow release of radionuclides from the waste, the diffusion-controlled radionuclide migration, the establishment of a reducing geochemical environment, and the weak solubility and strong retention of the most toxic radionuclides on clay minerals and on additional engineered barrier materials. The granitic bedrock at Forsmark (Sweden) provides a well suited host rock for a geological repository in which to safely dispose of spent nuclear fuel. 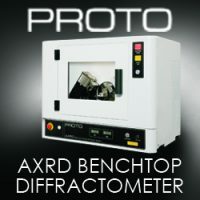 The properties of the host rock have been thoroughly investigated through boreholes from the surface. 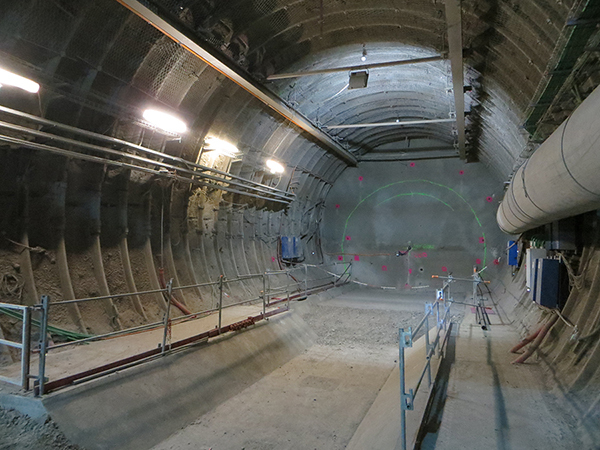 This repository will be at a depth of approximately 500 m where the spent nuclear fuel will be contained in 6,000 copper canisters able to withstand potential earthquakes and glaciation events. The canisters will be surrounded by a bentonite clay buffer to prevent canister corrosion by groundwater. The safety assessment in support of the site’s license application suggests that almost all of the canisters will remain tight even one million years into the future. The first Russian underground repository for high- and intermediate-level radioactive waste (HLW and ILW, respectively) will be built in the crystalline Archean granite–gneisses at Yeniseisky (Krasnoyarsk region, Siberia). The geological and hydrogeological characteristics of this site are similar to those found in Forsmark (Sweden) and Olkiluoto (Finland). However, the Russian disposal strategy is different. HLW will be disposed in the form of an aluminophos­phate glass and ILW (with long-lived radionuclides) will be cemented. Preliminary research on all aspects of repository design (stability of waste forms, waste packages, and bentonite buffer; evaluation of the geologic barrier; and simulation of radionuclide transport by groundwater) will be performed at an on-site underground research laboratory. Rock salt formations can make suitable hosts for the disposal of high-level radioactive wastes. The performance of salt as a host rock for a repository over million-year timescales has been investigated for the potential site for a geological repository at Gorleben in Germany. The main threat towards the stability of a natural salt barrier is its high solubility. Hence, prevention of water access into the waste emplacement area has to be ensured. Geological factors to be assessed in this context include diapirism, the formation of (future) glacial channels, the impact of loads and stresses imposed by glaciers, hydrocarbons, and the local hydrogeology. The disadvantages of salt are, however, outweighed by its beneficial properties: high thermal conductivity, good hydro-mechanical properties, and a tendency to creep and thus seal cracks. These characteristics make rock salt a very attractive candidate to host a geological repository for essentially all kinds of radioactive waste. For more than three decades, the US Department of Energy has investigated the potential for permanent disposal of high-level radioactive waste and spent nuclear fuel in a deep-mined repository at Yucca Mountain, Nevada (USA). 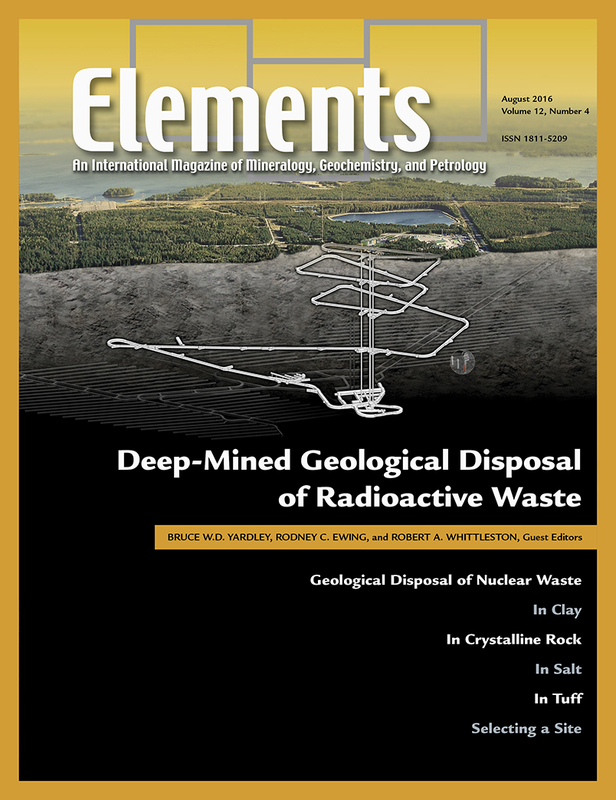 A detailed license application submitted to the US Nuclear Regulatory Commission in 2008 provides full documentation of the case for permanent disposal of nuclear waste in tuff. The aridity of the site and great depth to the water table provide a disposal environment and a design concept unique among deep-mined repositories currently or previously proposed worldwide. 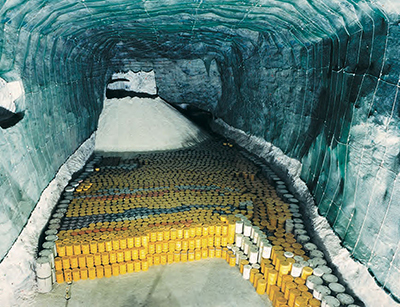 Every nation that has adopted a strategy for the long-term management of its high-level radioactive waste (HLW) and spent nuclear fuel (SF) has opted for disposal in a deep-mined, geological repository. Identifying a site for such a facility has proven to be a technical and social challenge. Over the last 50 years, both challenges have been met (at least so far) in only three out of the ten countries that have tried. This historical experience makes clear how important it is to gain social acceptability for a site’s selection: such acceptability is a prerequisite for policy making in democratic societies. The inability to gain social acceptability has proven to be the Achilles’ heel for most efforts to choose a repository site.